Prime Suspect is an AOR/hard rock group and the latest project from Daniele Liverani. I plead ignorance on the comings and goings of the melodic rock world but from what I can tell, Liverani has done quite well for himself over the years with projects like Empty Tremor, Daily Trauma, the Genius Rock Opera trilogy, Viewpoint and most recently, Cosmics, Khymera and the progressive Twin Spirits. I have never listened to Khymera but I am told Prime Suspect sounds very much like them. So there ya go, if you’re a Khymera fan, you’re probably a Prime Suspect fan and don’t even know it! In fact, this album actually two other Khymera members: Tommy Ermolli and Dario Ciccione. The comparison that I make myself is to House of Lords. 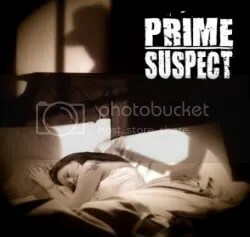 Prime Suspect isn’t as heavy, but there is still that great balance between hard rock bite and a stellar polished production. The keyboards enhance the songs but don’t drown them, which is very important to me if I am to enjoy a melodic album and Ermolli also lays down some great guitars while singer Olaf Senkbeil is extremely talented. As good as the music is, it’s really Olaf that carries this album to being something special. He puts in a great performance all around. In short, I think this is a great melodic release. Great vocals, catchy choruses, fantastic guitars, keyboards are used appropriately… what more could you ask for? The only clunker on the whole album is “I Would Like To Reach The Sun”. While the ’80s AOR vibe is present throughout the entire album, that’s the only song that offers a cheese sampler. The opening anthem “What Do You Want?” more than makes up for that misstep though, as do the ballads “I Never Knew” and “It Could Have Been You”. Offering up a slight twist is “So Strange”, which is a bit of a funky number. Definitely sticks out from the rest of the album and I enjoy it a lot. Prime Suspect is well worth seeking out for AOR enthusiasts!